He was born on June 7, 1964 in Pittsburgh to his parents, Henry L. Matejko, who preceded him in death, and Elizabeth DeCarolis. Steve was a graduate of Riverview high school in Oakmont, PA. During that time he went to Kenya as a foreign exchange student through AFS international. Steve was also a member of Boy Scouts troop 19 in Pittsburgh. In his adult life, Steve, also known to friends as Kish, was a talented chef. His work took him from Pittsburgh to cities across the country, including Boston, Bangor, Albuquerque, Austin and Key West. Steve was also a singer-songwriter and musician, playing in a number of indie bands over the years around Pittsburgh and Boston. He was also an artist. He loved listening to music of all genres. He was a foodie with a refined palette. His other hobbies included gardening, tropical fish, reading and journaling. 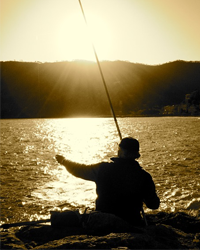 An avid outdoorsman, Steve loved to fish. He was just as happy catching carp and catfish in home waters as he was landing giant tarpon and grouper in the Florida Keys. He was also an accomplished canoeist. Steve could be found paddling his beloved upper Allegheny with friends each summer or exploring backcountry lakes in autumn with his brother in Maine. Steve adopted and raised a number of dogs and cats over the years, most recently, his beloved Mishkah, a rescued Key West feral cat. Steve spent a month each year in the wilds of northern Maine where he and his brother have a camp; it was where he felt most at home. It was Steve's deepest desire to eventually build a cabin and retire there. He was planning to move back to Maine this coming April: one step closer to realizing his dream. 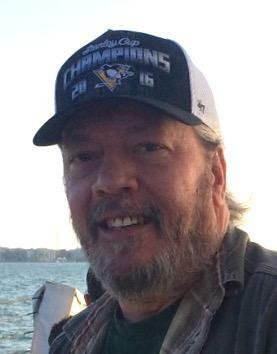 A lifelong Pittsburgh Penguins fan, Steve spent his final hours cheering on his home team to victory. Steve was a beautiful, gentle and kind soul, a faithful friend, a free spirit, affable and witty. For those of us who were blessed in this life to have known Steve, to have called him our friend and our brother, we are all the richer for it. This is his most lasting legacy. May he rest in peace. Steve is survived by his loving mother Elizabeth (Hamilton) DeCarolis, his dear aunt Dorothy Hamilton, his beloved cat Mishkah, his best friend and brother Matthew Matejko and his wife Karol, and countless friends and adoptive family all over the country and throughout the world. Steve’s arrangements will be private to his family. Donations may be made in Steve's honor to any not-for-profit of your choice that cares for stray and feral dogs and cats or preserves, protects and restores wilderness and our precious natural resources. Or maybe just plant a tree in Steve's honor as a lasting memorial. Steve’s arrangements have been entrusted to English Funeral Home and Cremation Services Inc.; 378 Maryland Ave; Oakmont PA 15139; 412-828-6565.